You will be wowed by this gem in River Heights! 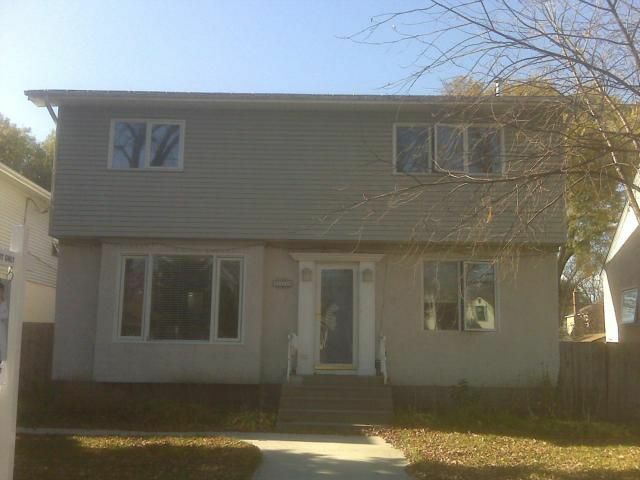 This three bedroom home is bright and spacious - offering lots of room to relax and entertain. The three spacious bedrooms have large closets... but the master has the largest walk in closet - no worries about room for clothes! The upstairs has a newly remodelled bathroom with a huge spa-like soaker tub & a steam shower, with custom tiling on the walls. The main floor sunken living room has a gas fireplace to help while away the cooler months. In the warm months, the backyard oasis offers a salt-water inground pool (that just got a new liner installed & has an extra filter) & a gazebo which has electrical outlets, cable and phone - for the ultimate in entertaining! The surrounding concrete has all been recently done and the yard also has a composter! The double detached garage is insulated and heated. Walking distance to schools and playgrounds. Showing Start Date: THURSDAY, OCT 21. Open House Saturday & Sunday 2-4pm. Offers TUESDAY, OCT 26 - 8pm.